Hardwood flooring is seen in homes throughout Indianapolis. Available in many shades and wood types, wood flooring is a great fit for nearly any decor. If you're considering wood flooring for your Indianapolis home, we encourage you to stop by Kermans and learn about your options. Let's highlight two key considerations in selection the right wood floor for your home. Hardwood flooring is typically what comes to mind when thinking of wood flooring. It is solid wood planks cut from a variety of trees - most often oak, maple or pine. Hardwood floors can come from any type of wood, however, ranging from dark walnut to exotic mahogany. Laminate flooring has the look of wood but is made from different materials to make it more affordable, more resistant to moisture and easier to install in a wider variety of room situations. Learn more about types of hardwood available at Indianapolis hardwood flooring store, Kermans. Plank width used to be more a factor of wood type but today is more a reflection of design preference. Standard wood planks come in 2-3 inch width. However, it is becoming more and more common to see 5 inch planks or wider. Most wood floors will come in a range of widths that could go as wide as 10 inches. You'll want to keep the overall size of your room in mind when selecting plank width - a smaller room may not work well with very wide planks for example. Who says you have to pick just one? You can also select varying plank widths to add more character to a wood floor. Planks of varying width add a more rustic, handmade feel to a room. While narrow, consistent planks add a more upscale, polished appearance. 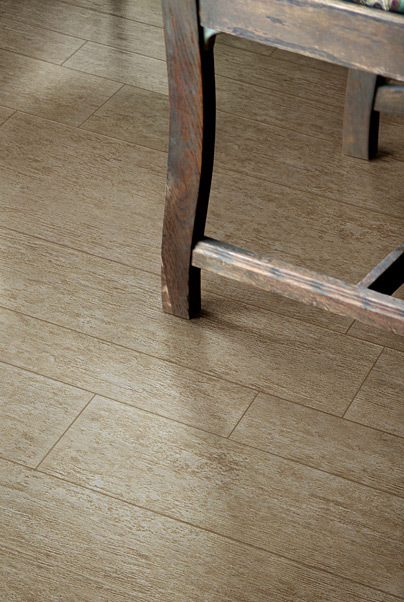 Look beyond planks and consider new styles of wood flooring like cork or bamboo! Taking care of your hardwood floor. Indianapolis hardwood flooring store, Kermans, loves to help homeowners select the right wood floor for your home, budget and lifestyle. Stop by our showroom on the northside of Indianapolis and review our selection of solid hardwood, laminate, cork, and bamboo flooring.